What was that phrase about the best laid plans? Oh yes – I think that came from a book, too….! So there was I, feeling all smug about not buying much in the way of books lately, and with piles of them in the hall waiting to be donated. But today, I happened to wander into a couple of charity shops, not really looking for anything in particular and not wanted anything in particular. But Bookish Things Happened…. I’m rather intrigued by the inclusion of an interview with Simenon, and I’m hoping to get onto this one soon – the Maigret stories are *so* readable! Intrigued? You bet I was! I know (or can remember) very little about Dickinson’s life, and Gordon is a respected biographer, so I’m hoping for a torrid tale of family fallings-out and vicious vendettas! I thought I would borrow “The Stone Angel” and see if I felt like reading it and joining in with the Virago author of the month for June. Much better than buying it, especially as Mount TBR is still tremblingly high. A weekend of restraint – and Proust! Yes, that’s right – Proust. I have taken the plunge into “In Search of Lost Time” or “Remembrance of Things Past” – whichever title you prefer – and am determined that this will be the year I read it! 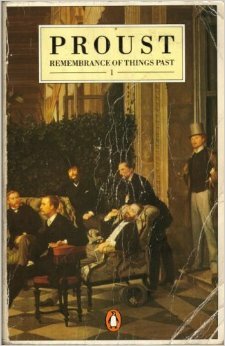 I’ve had a couple of attempts in the past and never got very far into the first section – the main enemy of reading Proust rather ironically always being time itself! However, I intend to finish the first book “Swann’s Way” (as it’s translated in my edition) and then take a little break – dealing with the series a book at a time will be the best way I feel. I’ve been prompted to do this by Laura on the LibraryThing Virago Group who is also reading Proust, and whose progress is inspiring. She also pointed me in the direction of a very helpful blog, The Cork-Lined Room, which assisted a previous read-along by splitting the books into daily chunks and providing commentary. While I certainly haven’t stuck to the suggested chunks, the commentary has been excellent – I’d recommend it to anyone embarking on this kind of read! The edition I’m reading is the Penguin 3 volume set from 1983, which I’ve been carrying around probably since the 1980s! It’s the C.K. Scott Moncrieff/Terence Kilmartin version and seems to be well-regarded – certainly I’m getting on quite well so far. More as I progress through the work…..! 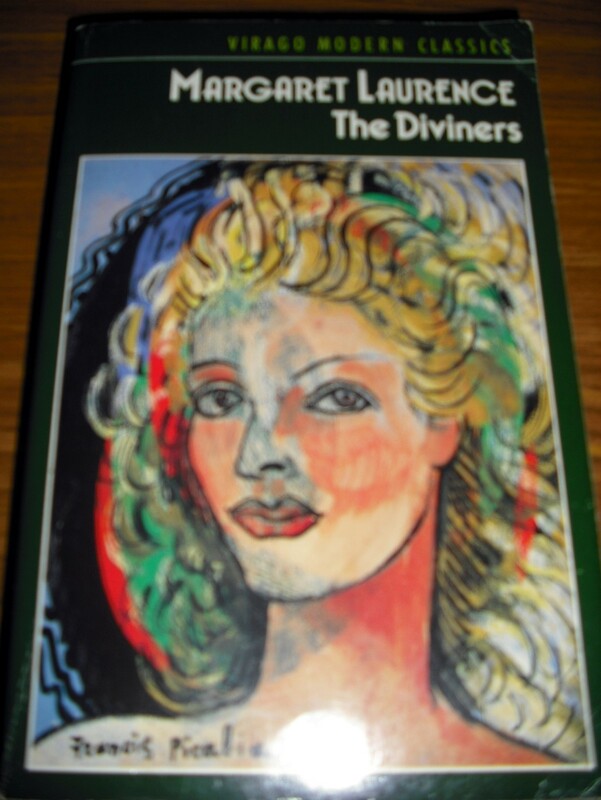 The Virago Group has been full of high praise for Margaret Laurence’s work, so I was pleased to find one of her titles in the Oxfam – and with a very striking cover! 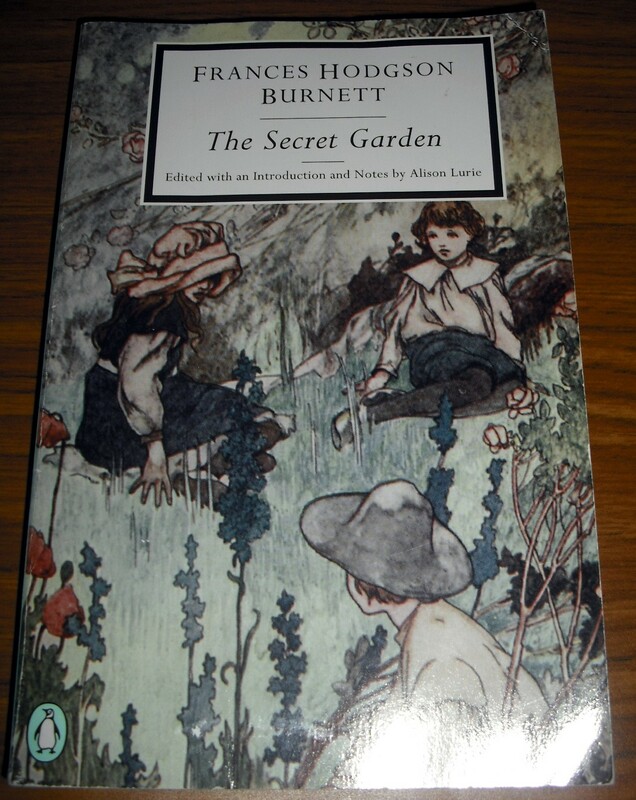 As for “The Secret Garden”, I have of course read this, and possibly even have a copy somewhere. But this is a grown-up pale blue Penguin Modern Classic edition and only 95p – so not to be resisted! So – off for a little more of Proust’s sinuous prose before work….